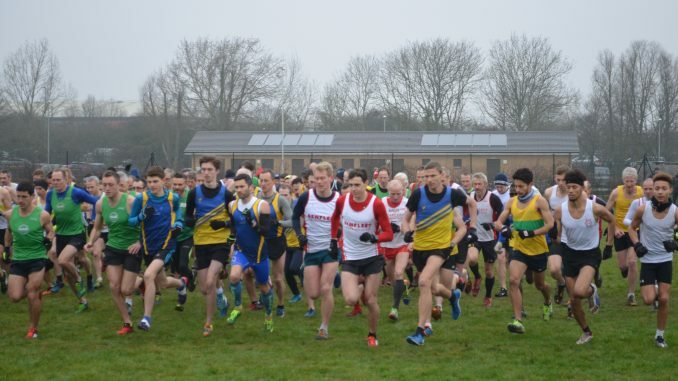 The snow and freezing conditions did not deter the efforts of Archie Conners of BRC at the final round of the Essex Cross Country League held at Basildon. Archie finished in 8th place with a of 16: 07. In the under 17 ladies round Grace Goodall set the pace for the Benfleet contingent crossing the line in 21:10 and 6th place. Team mate Genevieve Pate also had a great race finishing in 23:52, 17th place. 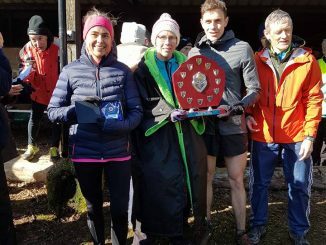 The Benfleet Senior Women’s team put in a fantastic effort, with Jacqui Watson closing the season the way that she started as first BRC runner over the line in 27th place in a time of 36:12. Hot on Jacqui’s heals was the ever improving Nicki Leigh, 30th place, 36:41. Mandy Cooper was next to cross the line with an impressive 43:24, 61st place. Just ten seconds behind Mandy was team mate Sarah Norton, 62nd place 43:34. Annette Johnson pushed hard to the line with a 46:40 time with Laura Williams closing down the team effort with a 48:26 time. 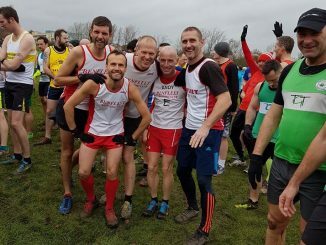 A great turn out for the Benfleet Senoir Men for the final leg of the Essex Cross Country League. In the tough conditions Andrew Low did a spectacular job at cross the line in 27th place with an impressive time of 30:57. Great to see George Watts returning to form and finishing in 37th spot in 31:20. Relatively new face to the BRC mens team Chris Wayman was next to complete the hilly course in 32:32 closely followed by the BRC Men’s Captain Graham Booty in 32:46. Terry Spooner delivered a great run by finishing in 66th place in a time of 33:24 and closing out the League points for BRC was Richard Jones in 35 minutes. 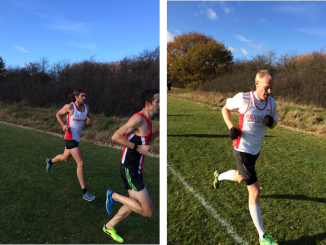 88th place was taken by Alan Clark 35:12 followed by Lee Gumbrell 98th, 36:34. Taking it right to the line Ian Pike pipped Roy Harwood to the finish line 102nd (37:00) and 103 (37:14) respectively. Another solid performance from Mike Grout 113 (38:12) and bringing up the rear was a great effort from Martin Swain 162 (48:25).